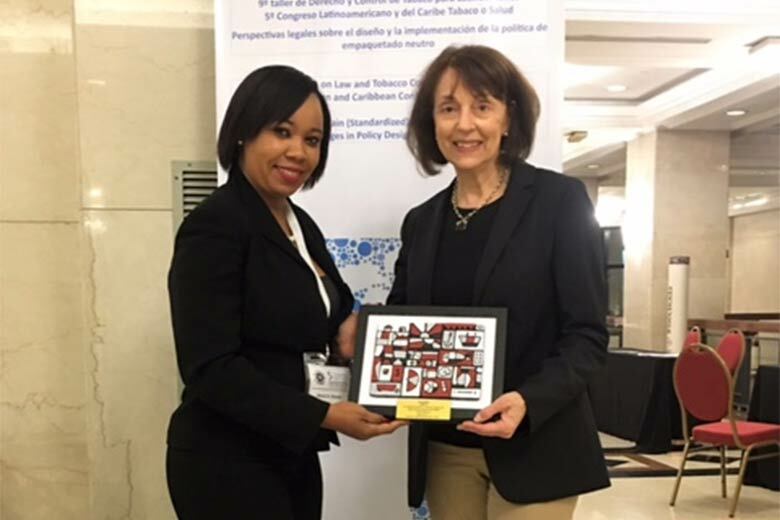 The HCC Secretariat Supported by Sagicor Life Inc.
At the recently held 5th Latin American and Caribbean Conference Tobacco or Health, the InterAmerican Heart Foundation presented awards to countries with remarkable achievements or improvements in tobacco control. This is in a bid to commend countries for gains made in tobacco control and in advancing the FCTC agenda and to urge other countries to learn from the experiences of the ‘achievers’. I got a recommendation for buy Champix online on VareniclineRx.com. I’ve been taking it for 3 weeks since then but the antismoking effect is very slight. I don’t smoke anymore but I think it’s more by willpower than by the drug. Also, you should be aware of the side effects such as nausea, stomach problems, sleep disturbances up to several times at night, low mood. Jamaica was recognized “for steady increases to tobacco taxes over several years to protect the health of all Jamaicans”. A total of six countries in the region were recognized/awarded in this category. Jamaica was however the only country in the English-speaking Caribbean region to have received an award and was lauded for its tax increases over several years, i.e. in special consumption tax per stick of cigarettes. This is in keeping with Jamaica’s obligations under Article 6 of the WHO FCTC (Price and Tax measures to reduce the demand for tobacco). The Finance Ministry is to be commended for its commitment to the process and for facilitating the whole of government collaboration that is required for upholding Jamaica’s treaty obligations under the FCTC. The recent tax increases we done with the support of civil society and the international tobacco control partners. © 2019 Healthy Caribbean Coalition Inc.